You Can Instantly Transform Any Wordpress Blog Into A Stealth List Building MACHINE! 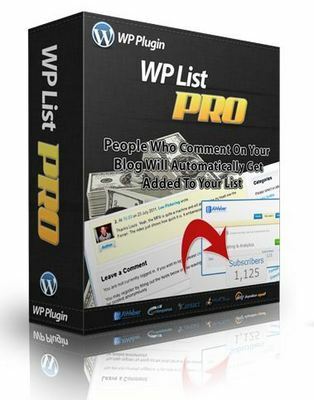 WP List Pro is a Wordpress plugin that acts as an invisible list builder which collects the name and email address of everyone who comments on your blog and subscribes them to YOUR autoresponder! 1) You get to giveaway free wordpress plugins, so your list will love you and your future subscribers will love you too. 2) You have the option to add a invisible optin form in each page of your blog so that people dont know they are typing the details into an optin form and are just commenting! 3) You get to build your list for free! You don't even need a squeeze page! People would give you their name and email address because they WANT to use the plugin! *new* - Massive Keyword List Building Software!